The recent panel discussion Neo-Impressionists and Symbolists: Allies and Rivals provided me with a better sense of how artists in the exhibition used poetry and music within their work, sometimes trying to create a synergy of the senses or synesthesia. Synesthesia involves the union of sensation from multiple art forms; for example, one could hear music and see color, or see a painting that evokes music. One of the artworks discussed during the panel, L’Orgue by Paul Signac, is illustrated here. The work combines poetry, music, and visual art. 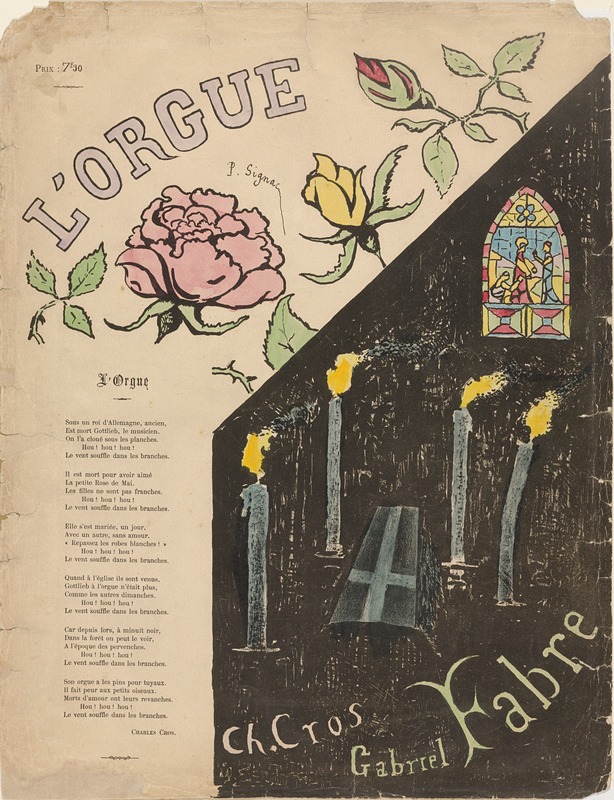 Created in 1891, the piece is a cover design for a musical composition by Gabriel Fabre—which was inspired from a poem by Charles Cros. 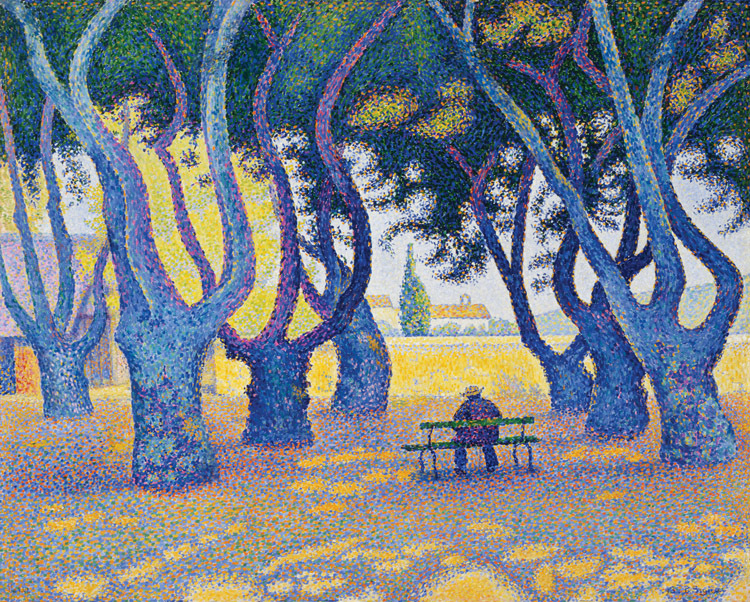 Little is known of Fabre other than that he fraternized with the Parisian Symbolist circles, including Signac and Cros. 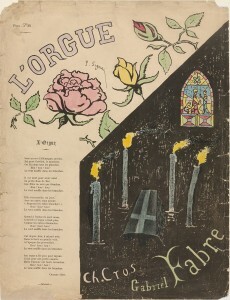 Cros a writer, inventor, and poet, aspired to create poetry that used evocative imagery and lyrical, rhythmic language. I think this perfectly captures the combination and equality of the arts that Signac created in his cover design; a synesthetic experience that allows the viewer to experience poetry, music, and visual art simultaneously.